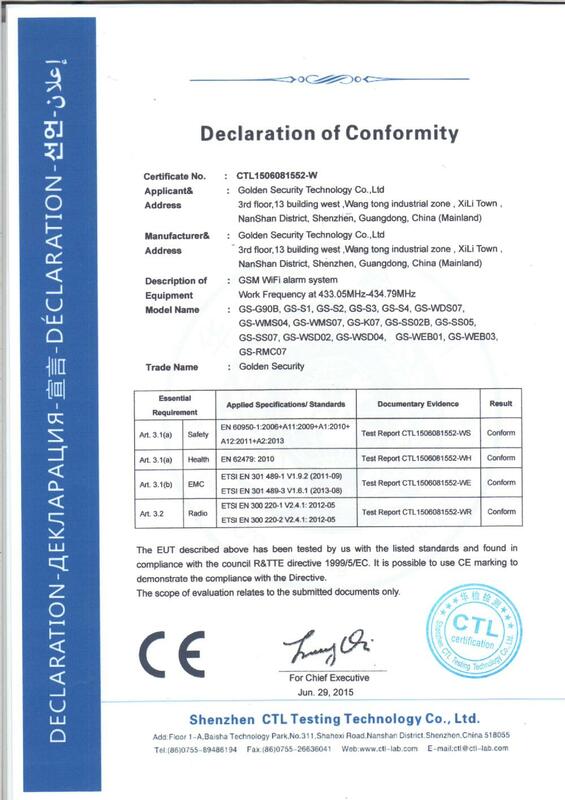 Company Overview - Shenzhen Golden Security Technology Co., Ltd.
8YRSShenzhen Golden Security Technology Co., Ltd.
Shenzhen Golden Security Technology Co., Ltd. was established in 2011, and is a professional manufacturer of security systems.Main products line as below,1. Wi-Fi alarm systems, GSM+ Wi-Fi alarm systems, GPRS alarm systems, 3G alarm system.2.GSM alarm systems, PSTN alarm systems, GSM+PSTN alarm systems.3. Independent smoke detectors, Wireless smoke detectors4. Gas leakage sensors, CO leakage sensors.5.Alarm accessories, like door contacts, PIR motion sensors, water leakage sensors, vibration sensors, glass break sensors,indoor/outdoor strobe siren and solar outdoor siren, etc. "Offer good quality security systems with lowest price" is our belief for long-term development. All of Golden Security alarm systems are designed and developed entirely in house with leading technologies, backed by more than 30 seasoned R&D engineers. Golden Security professionally provides security alarm solutions for every distributor to develop and grow their local market share. "Golden Security" gains respect and popularity globally. Now, we are looking for distributors and agents worldwide. 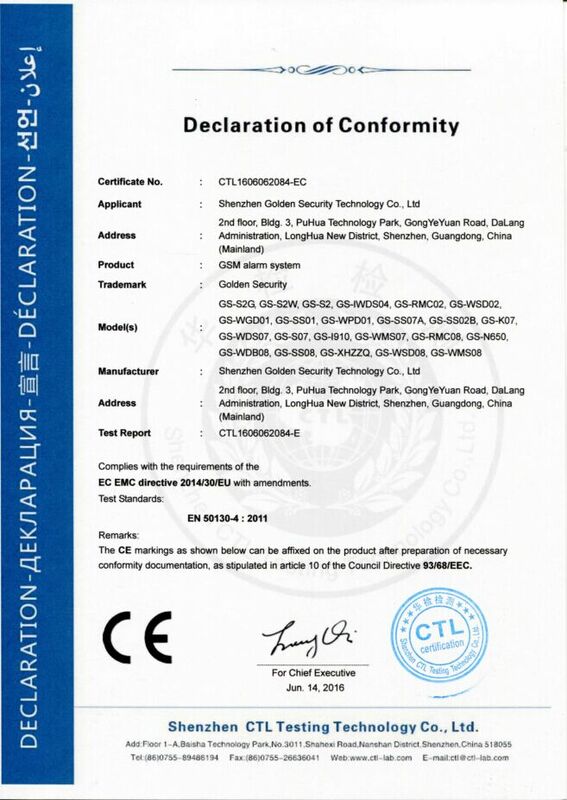 Shenzhen CTL Testing Technology Co.,Ltd. 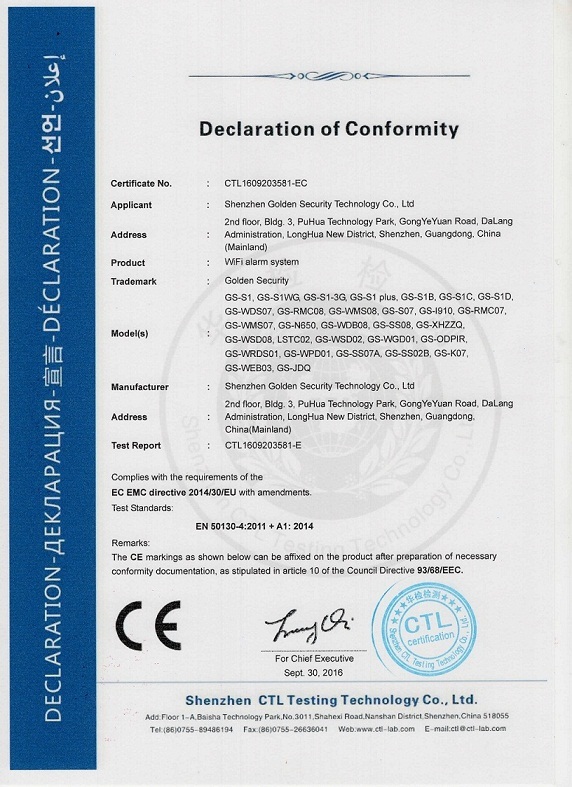 Shenzhen CTL Test Technology Co.,Ltd.